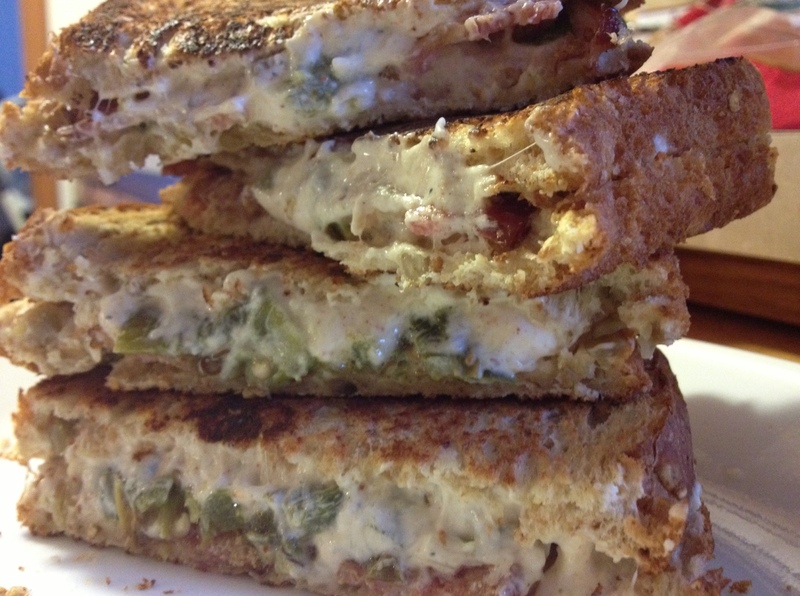 This is seriously, the best grilled cheese I’ve ever made. And I make a pretty good grilled cheese. I made two at first, and as we sit down to eat Jayesh takes a bite, pauses and smiles at me. As he finishes his sandwich he whispers to me, “Are you going to make more?” That is a success! Of course I made more! This sandwich is packed with flavor and so easy to make. First set your oven to broil and put your jalapenos on a baking sheet and roast them. Flip them and keep an eye on them. You want them nicely charred on every side. They should be cooked through as well. Once they are done immediately put them in a ziplock bag. They’ll be easier to peel. I always skip this step, I don’t really mind the skins. Most of it will flake away when you chop them up. So once you’re done with that, chop them up. Remove the seeds if you like, but we leave them in because we love the heat! Next mix your cream cheese and shredded cheese together. Just eyeball it. 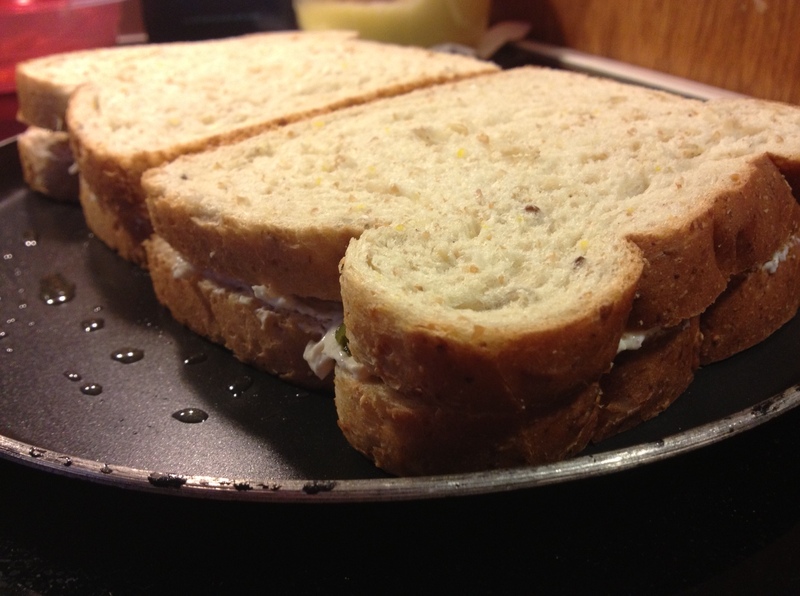 You want the consistency spreadable but pretty full of shredded cheese so it will melt throughout the sandwich. I sprinkled in garlic powder, pepper, and Emeril’s original essence. Again I just eyeballed this, tasting it along the way until it was flavorful. 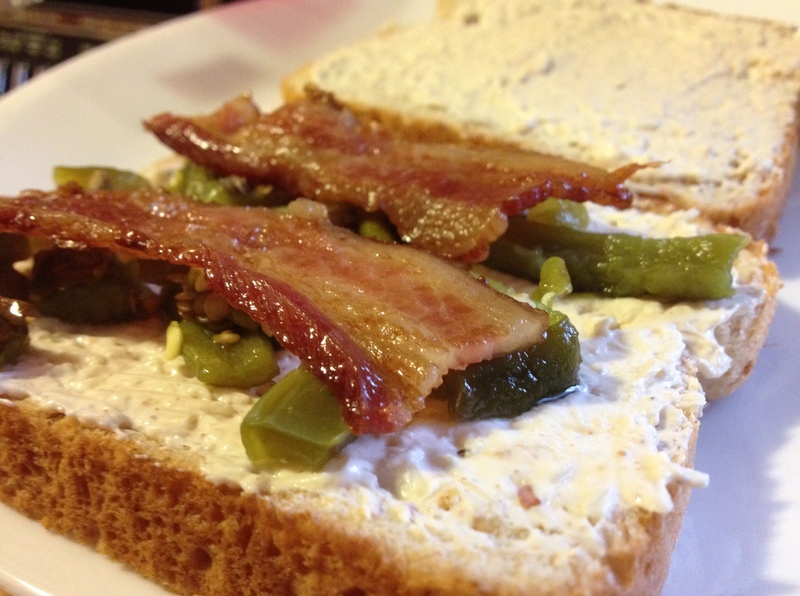 Spread the cream cheese mixture on the bread (every slice), top with chopped grilled jalapenos, and put a couple of slices of bacon on top. Heat up your pan with some butter. Once it’s hot enough, put your sandwich on and grill it until it’s nice and toasted on both sides and the cheese is melted. Careful it’s HOT, but SO SO good! This morning I got a little creative. I don’t have pictures, and really no measurements because I eyeballed everything. I had some Ghirardeli milk chocolate chips and half and half left over from the Red Velvet Trifle that I made so I wanted to use them up. I put a pot on low-med heat and put in about 1/2 cup of half and half. You could use milk or heavy cream whatever you have in your fridge. I added about a handful or two of the chocolate chips. I didn’t want the mixture to be too thick or chocolatey so I went easy on it. You could add as much as you wanted. If you use milk you might want to add more to thicken up the milk a bit. If you don’t have chocolate chips you could use Hershey’s Chocolate syrup. 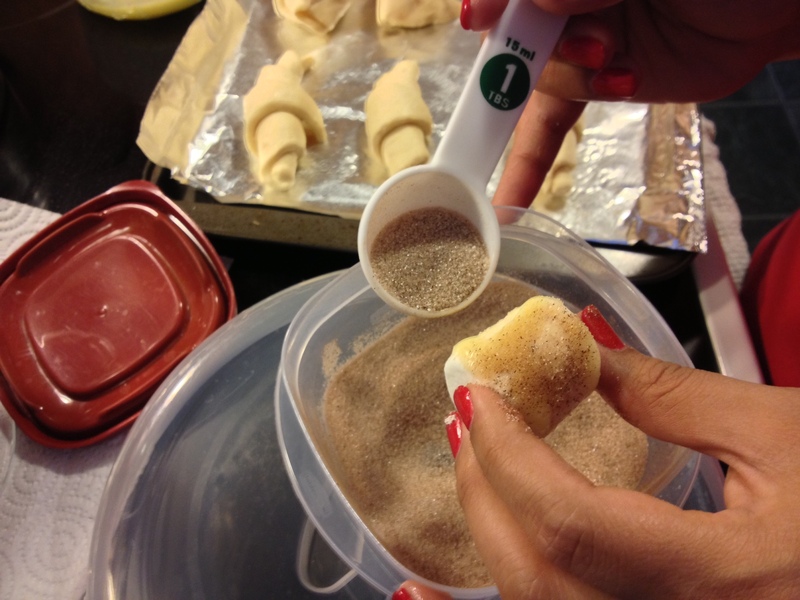 After the chips were melted I added in a few drops of Peppermint extract. It smelled SO good! While this was going on I brewed about 20 oz of coffee in the Keurig. Currently we have a really strong French Roast so it’s almost like espresso. That’s it! Easy right? Tasted better than the coffee shop! The flavor was a lot like peppermint bark which I am currently obsessed with. It was cold and snowing this morning so this was the perfect warm drink to snuggle up to. Enjoy! Well, we’re done with 2012 and on to 2013. Looking back I think I’m overall pretty happy with the way the year went. We learned a lot, laughed a lot, and made some big decisions that turned out to be the best. I hope everyone had a year worth reflecting on and I wish you the best for 2013. 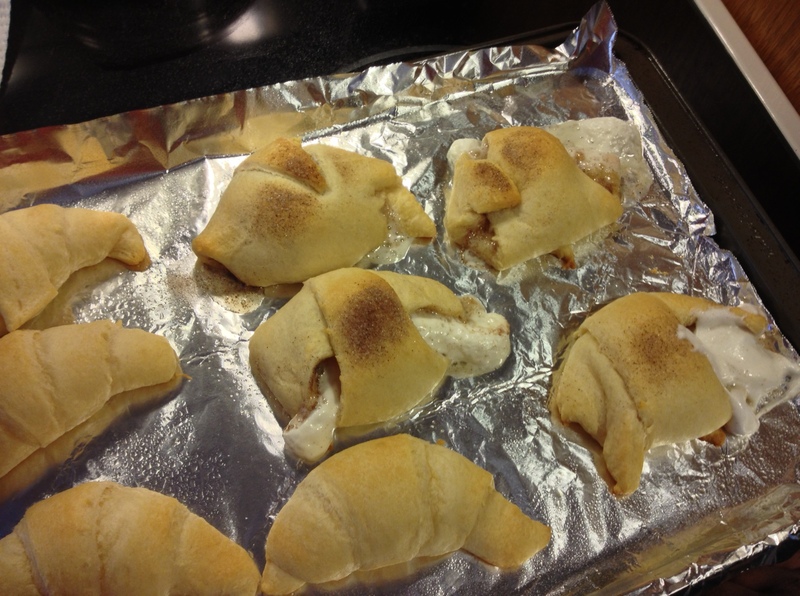 To start the year off right I’ve decided to share with you my recipe for hocus pocus rolls. Why hocus pocus? Because they’re MAGIC! They taste like a cinnamon roll with none of the effort, there’s a disappearing act that is pretty cool, and they are magically DELICIOUS! Did I have you at cinnamon roll? I thought so. First POP that can of crecent rolls open and lay them out. 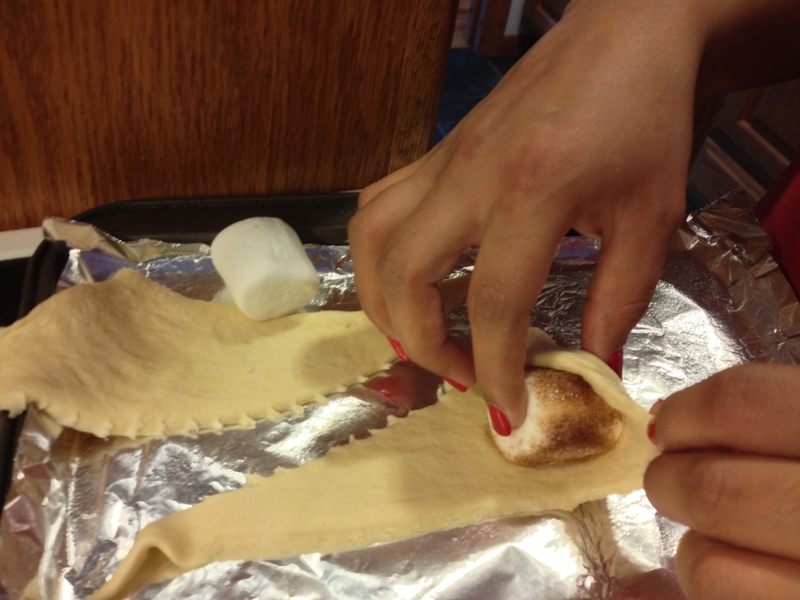 Then take a marshmallow coat it in ghee or melted butter and cover with cinnamon sugar. 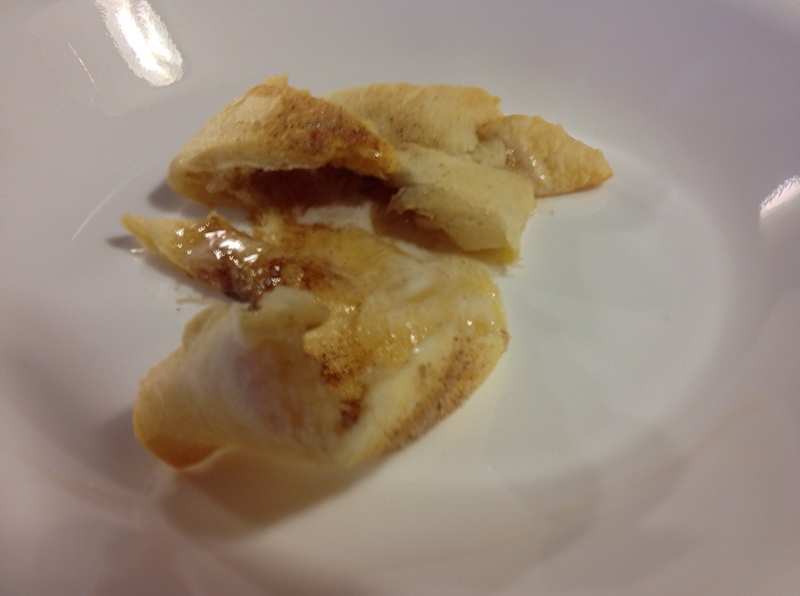 Next I brushed some ghee over the top and dusted a little bit of cinnamon sugar on top. 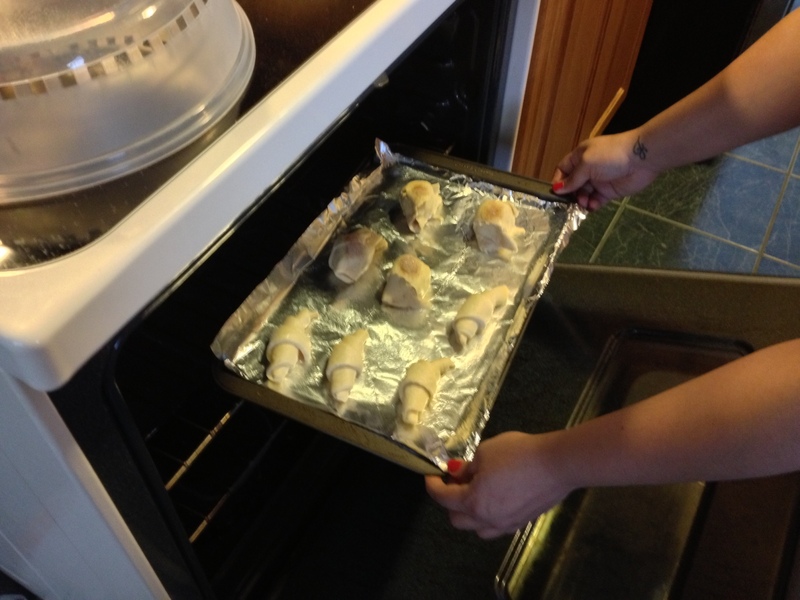 Pop them in the oven for 10-12 minutes or until they’re golden brown. When they come out, they’ll look totally normal, but the magic is waiting on the inside! As you can see, if you leave them unsealed, they poop all over the place and it’s sticky and hard to unstick. SO, make sure you seal them up. As you can see, there’s no marshmallow in sight. It’s just cinnamon sugary goodness with “icing”. SO good. SO easy. Try it out!! The most incredible thing happened this morning. 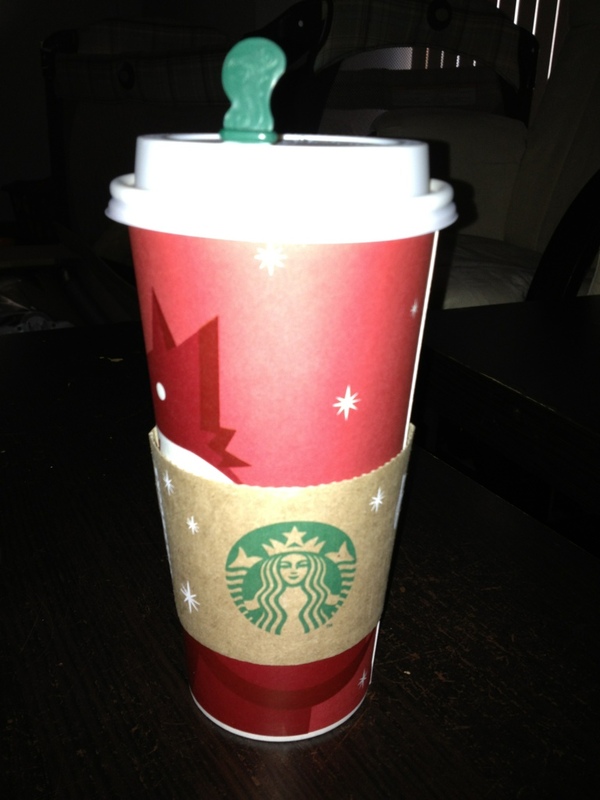 I decided to go to Starbucks to fuel myself and the woman in front if me paid for my drink. We were in the drive thru so I didn’t get a chance to thank her. She said to tell me happy holidays. I was in shock. I didn’t think such generosity existed. I felt so incredibly full of joy and I was compelled to make someone else feel that good. So I paid for the person behind me. I hope they paid it forward as well. What a wonderful start to my morning. What random act of kindness will you do today? I used Chipotle stuff because my husband really likes that smoky flavor, but you can use pretty much anything you want. Throw your chicken into the crock pot, coat it with taco seasoning, pour the salsa over it, and set it on low for 6-8 hours or high for 4-6 hours depending on how cold or frozen your chicken is. I cooked mine for 4 hours on high and it was fresh from the store. 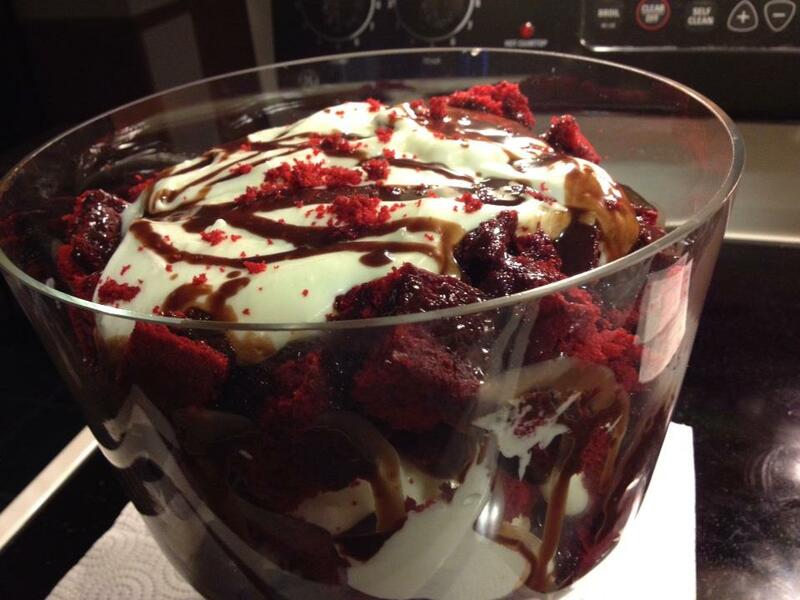 It was SO good, nobody could guess there’s only 2 ingredients in it! The even better part, with my crazy schedule I never have time to cook so this amount will last us all week. We’ve had it as tacos and last night I made quesadilla’s. Let me know what combinations you used and how it turns out!